Expertly define the face with the Chisel & Glow Highlight & Contour Set from Illamasqua. 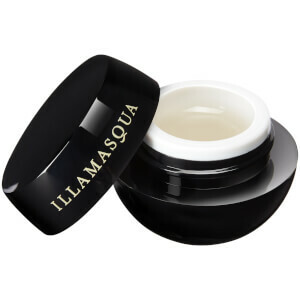 Boasting everything you need to carve a faultless contour and achieve an enviable glow, the set contains a trio of coveted Illamasqua products that partner perfectly to deliver a professional looking finish. The set is host to a cream highlighter, contouring gel and the versatile tool needed to create a show stopping look, the round buffing brush. Accentuate your favorite features with the Gleam Highlighter in Aurora; an iridescent cream formula that allows you to create make-up looks with depth, definition and expert results. Infused with Vitamin E and Mica Mineral, the translucent, silky highlighter delivers sheer, pearlescent pigments for a natural-looking, luminous glow. Can be used on the face and body. Achieve a sculpted and chiseled complexion with the Contouring Gel Sculpt, a sheer contouring gel that helps create subtle, natural-looking definition on the contours of your face. Perfect for defining your cheekbones, jawline and forehead, the gel formula creates delicate shadows on the face; apply to facial contours where shadows would naturally be cast. It enhances your face shape to enliven natural features. Easy to blend, the formula will leave your face looking naturally chiseled and sculpted. Achieve professional, flawless make-up looks with the Round Buffing Highlighter Brush; a versatile tool with high quality synthetic bristles that are suitable for all skin types. Ideal for applying highlighter or foundation, the brush features a soft domed head to buff product into the skin, creating an even, polished finish. Accent the cheekbone and center of the cheek with gleam to define your bone structure and bring flattering light to the face. Apply under the brow bone to accentuate a defined brow, or dot in the inner corner of the eye to brighten and widen your eyes. Highlight the natural lip shape, or accentuate a glamorous lip color, by gently applying gleam to the center of the cupid's bow. The soft synthetic bristles in all Illamasqua brushes mean they can be used with powder, cream and liquid textures. Use shorter bristled brushes for precise, controlled color placement, and longer bristled brushes for blending. Gleam: 6.5g / Gel Sculpt: 8g.